Office space for lease. Locate in this vibrant South Hamilton Square. Major retail center at the corner of Upper James and Rymal. Centrally located with easy access to all parts of the mountain area. 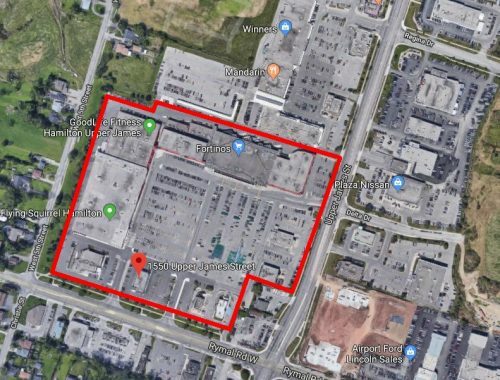 Center is anchored by many national tenants including Fortinos, JYSK, Fabricland, Goodlife, banks and many other retail and office tenants. Handicap accessible professional office space up to 5,238 sf available and divisible to suit. Immediate possession, abundant free parking available.